The town hall meeting has been organised by Cr Duff and local pastor Max Conlon, who has been recently overseeing the AIM Church in Cherbourg. “He is an Indigenous pastor and highly respected Elder,” Cr Duff said. Max will be chairing the meeting, which will also be attended by senior police from the Dalby-Burnett Patrol Group responsible for the South Burnett region. 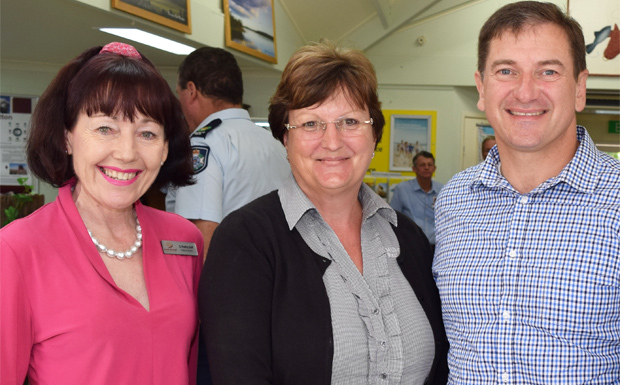 “We need to get Cherbourg people and Murgon people to work together to solve the issues,” Cr Duff told southburnett.com.au. One of these solutions could be the introduction of night activities at the South Burnett PCYC in Murgon. A similar program has been running for a short time in Moree, in northern NSW, and has so far proven successful. Activities start at 9:00pm in the Moree program. Children who would otherwise be wandering the streets drop in and enjoy games with their mates and build more positive relationships with local police. “I would like us to mirror what’s happening in Moree,” Cr Duff said. She hoped that if a similar program could be organised on a Saturday night in Murgon, it could also provide a meal for the children. “A lot of the children aren’t being looked after. A meal is what could make the difference,” she said. Cr Duff said she was trying to get the community “to buy in” on the idea, and offer to volunteer to help make it a reality. However, she said it was also important to continue lobbying for more police in the area, especially after hours and on weekends. Cr Duff said the Murgon community felt like it was getting “belted from pillar to post”. But she said the meeting at Murgon Town Hall would not be about “getting up and whingeing about what has happened”. “There won’t be any room for people to be negative,” she said. It will begin at 6:00pm. Volunteers from both the Murgon and Cherbourg Men’s Sheds will be providing a sausage sizzle. Member for Wide Bay Llew O’Brien will also be attending the meeting but Member for Nanango Deb Frecklington will be an apology as State Parliament is sitting. Murgon businesspeople are calling for a 10:00pm curfew to be imposed in the town and more police on the streets in a bid to curb youth crime. 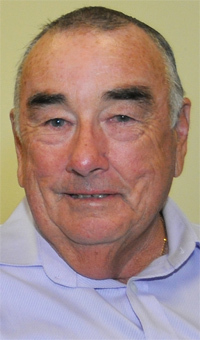 A petition to the State Government has been released by Leo Geraghty, president of the Murgon Business and Development Association. The petition of residents of the State of Queensland draws to the attention of the House continuing concerns about the level of youth-related crime in Murgon; young people being unsupervised on the street after 10:00pm; insufficient staffing levels at the Murgon Police Station on weekends; and ineffective, soft-on-crime sentences for young offenders through the court system. Your petitioners therefore request the House to consider additional strategies to combat youth crime such as a curfew of 10:00pm for the township of Murgon; additional police to be rostered for weekend night shifts; additional police on the streets of Murgon between 10:00pm and 5:00am; and tougher sentencing for youth offenders. Paper copies of the petition will be available to sign in Murgon at Clifton Motors, Murgon Real Estate and the Murgon Visitor Information Centre. It will also be available at the Murgon Town Hall meeting on Tuesday night, and will be online as an official ePetition later this week. The closing date for the petition will be May 10. Opposition Leader and Member for Nanango Deb Frecklington has agreed to sponsor the petition and will table it in State Parliament. The petition and the town hall meeting follow more recent break-ins, thefts and vandalism in Murgon which have provoked anger from the local business community. On March 13, the MBDA publicised concerns by a local GP that he may have to close his surgery in the town. This followed the sighting of youths on the roof of his building and fears that patient confidentiality could be breached if the surgery was broken into. After this, paint was thrown over three vehicles outside the surgery and rocks tossed at the surgery door. Rumours also swept the town about an alleged incident involving an ambulance crew in Cherbourg about midnight on March 16. However, local versions of this event appear exaggerated. A police media spokesperson told southburnett.com.au officers were called to assist the QAS when a patient “became unruly”. The patient was then transported to hospital. No charges have been laid. A QAS spokesperson said it was a minor incident and no one was injured. Well, history has a tendency to repeat, more so when influencers simply refuse to make change happen. Don’t change, then whinge and complain that the status quo remains and nothing changes. It’s on the whole of society to make changes happen, including in themselves towards others. I hope this meeting takes a hard look at the causes of crime and how these can be addressed, rather than just focussing on harsher punishments. All harsh punishments will do is take wayward youths off the streets for a few months or years, then return them to the community as hardened criminals. But tackling the root causes – things like unemployment, drugs and dysfunctional families – should lead to a more permanent solution, as well as a more humane one. Lack of employment, education and opportunity, coupled with poverty, is a toxic mix regardless of race or religion and these effects can be seen in every town and city ghetto or country that has not attended to their quality of living standards allowing sections of their population to fall by the wayside. This is the politics of expedient division that has played out in this region for decades. Nothing can change while a politically toxic environment continues to take precedence and holds this region and nation to ransom.The view presented by those that practice political expedient division do not build regions, states or nations but divide through populism to break down and destroy what they are proclaiming to protect. Law and order will not bridge that divide but drive further division and distrust only continuing that spiral into lawlessness. Changing children’s behavior will not be achieved without addressing all generations and their ability to walk as equals in this land.